There are all kinds of interesting facts about this home, and Mr. Luke, himself. First though, let’s start with how we came about getting this job. Marvin had hired a window cleaner last year to clean his windows. However, whenever he contacted him this year to come back out and clean the windows again, the gentleman had gone out of business. So Marvin took to Google and searched for window cleaning companies in Tulsa, and he ended up finding Gleaming Glass due to our high number of 5-star Google reviews. At that time, you’re having some issues with her online tips that estimate tool so we had to give him an on-site quote. Like me, Marvin is a business owner, so he keeps track of all the service companies he’s done business with in the past and how much they charged. We are one of the higher-priced window cleaning companies in town, and the last guy that cleaned his windows did it for almost half the price we quoted him at. Upon hearing our pricing, Marvin decided to just have the exteriors done this time around…. until we cleaned the exteriors : ) After we got done cleaning the exterior windows, he realized how dirty the interior windows were so he ended up getting most of the interior windows cleaned as well. While we were cleaning the interiors, he asked me about the history of my business and how I got into it. I proceeded to tell him all about how I started this tulsa window cleaning business in my senior year of high school back in 2011. The conversation ended up moving to what he did for a living, and he proceeded to tell me that he sells camera and production equipment to news networks and large businesses, which I found very interesting. Up to that point, I had never met someone who was in some way related, from a business point of view, to major news networks. I just thought that it was really cool! We ended up talking about his house and the history of the home. This is where things get interesting. It turns out, this home was originally built in the 1980s live a man who built Big Splash! How cool is that?! He built the house around the same time he built Big Splash. 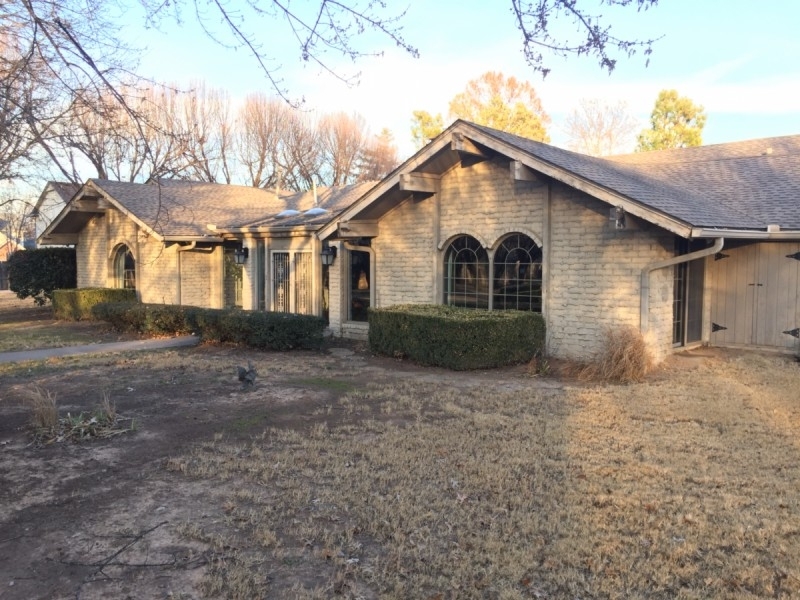 Back in the 1980s south Tulsa didn’t have that many houses or land development in general, so Mr. Woessner built an underground swimming pool right in the front yard! 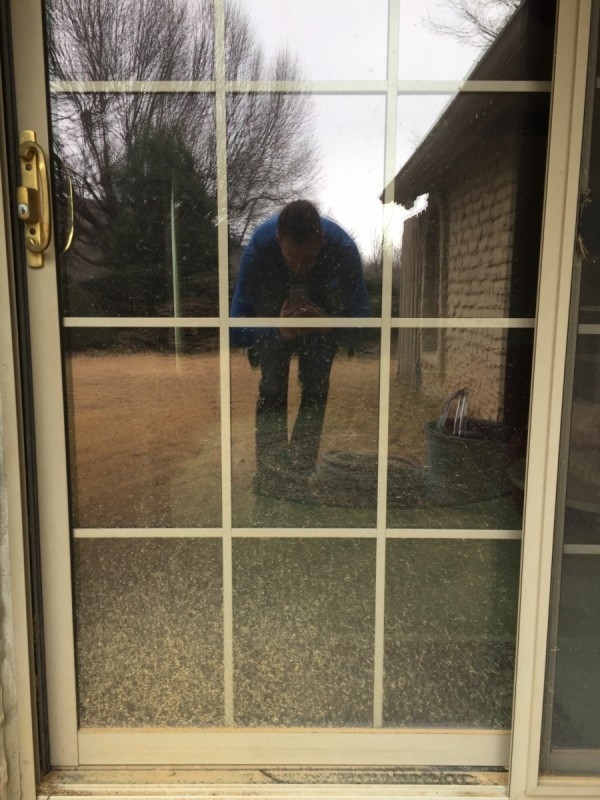 As a window cleaner in Tulsa, you just never know who you’re going to meet, or what fun new interesting things you’re going to learn from a new customer, or even a frequent customer for that matter! 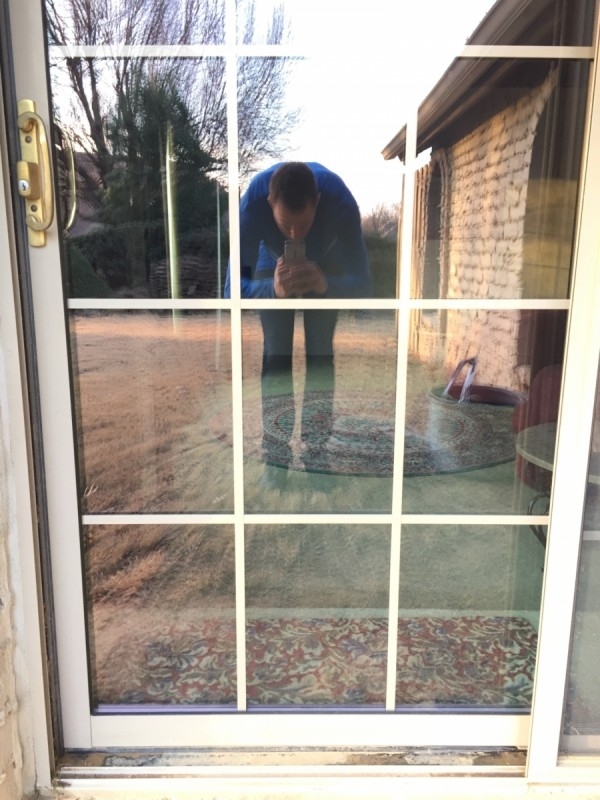 Below is a before and after picture of one of his sliding doors. Check out that difference!